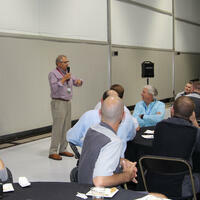 Duncan Aviation’s Longest Tenured Employee Says Goodbye After 50 Years! After 50 years at Duncan Aviation, Don Fiedler retired on September 30, 2016. He was not allowed to go gentle into the good night. Instead he was sent off with celebrations and a reception in his honor. During his last “Years of Service” celebration he was given the floor to speak to everyone in attendance about the highlights of his career and why it will be difficult to leave. On his last day in the office, hundreds gathered to shake his hand one more time and wish him well. He is an employee who will not soon, if ever, be forgotten. 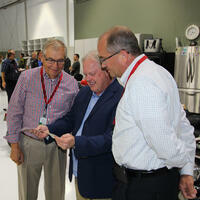 CEO Todd Duncan is especially appreciative of Don’s dedication to Duncan Aviation over the years. As a tribute to Don and the many years he mentored and guided team members at Duncan Aviation, the Duncan Family Trust has decided to award a scholarship to the Southeast Community College Career Academy in Don’s name. The Don Fiedler Scholarship will directly benefit an employee here at the company, and the first Don Fiedler Scholarship will be awarded at the Karen K. Duncan Scholarship breakfast in the spring of 2017. 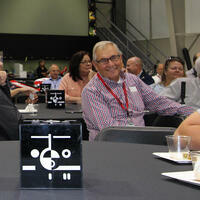 Read more about the impact Don Fiedler had on Duncan Aviation during his 50 years.